After obtaining a master's degree from a university in Beijing, Jennifer Hu decided to take an offer from a bank in Shenzhen in South China's Guangdong Province - more than 2,000 kilometers from the capital city. "Many people asked me, 'Why did you choose to leave a city where you lived for seven years and head south?' I think the growing opportunities of Shenzhen attracted me most," Hu told the Global Times on Thursday. It is a "young" city with a growing tech and innovation force, as well as promising growth potential, she said. Hu is not an isolated case as more graduates are attracted to cities in southern China. According to an industry report, six of the top 10 cities where college graduates want to pursue a job in 2019 are in southern China, while four are in northern cities including Beijing, Zhengzhou, capital of Central China's Henan Province, Xi'an, capital of Northwest China's Shaanxi Province and North China's Tianjin Municipality. Southern China has seen high numbers of migrants from elsewhere in the country. In 2018, the top four provinces for population inflow were Guangdong Province with 840,000, followed by East China's Zhejiang Province (490,000), Anhui Province, (280,000) and Southwest China's Chongqing Municipality (160,000), domestic news site the paper.cn reported. It's not just people moving south. Capital is also inclined to flow to southern China, as eight out of the top 10 cities that secured the most deposit balances of yuan and foreign currencies in the first 10 months of 2018 were located in southern regions, while just two were from northern provinces, data showed. The gap between northern and southern regions has become increasingly obvious during recent years. According to a list of top 10 cities in terms of comprehensive economic competitiveness, only Beijing and Tianjin in northern China are included, and the other eight are from southern regions, led by Shenzhen, Hong Kong and Shanghai, according to a report released by the Chinese Academy of Social Science. Southern China recorded 52.5 trillion yuan ($7.8 trillion) in GDP in 2017, accounting for nearly 61 percent of the country's total, while northern China's share decreased to about 39 percent, according to media reports. The percentage continued to climb as southern China contributed 62 percent to China's total GDP growth in the first half of 2018, chinanews.com reported, citing Ren Zhiwu, deputy Secretary General of the National Development and Reform Commission, China's top economic planner. Experts noted that industrial structural adjustment has been the major factor creating such a gap between northern and southern China. The country has vowed to cut overcapacity in sectors such as steel, metallurgy and cement in recent years. As most of the heavy metal processing industries are concentrated in North and Northeast China, "such efforts lead to the adjustment of economic growth in those areas," said Tian Yun, vice president of the Beijing Economic Operation Association. 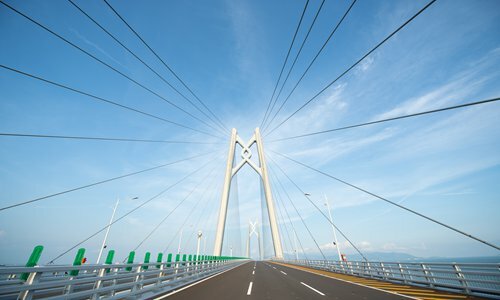 Meanwhile, markets in southern China have nurtured more innovation than northern areas because there are more private companies that focus on emerging industries such as information technology, new energies, robotics and biological medicine, which will be major forces driving economic development in the future, experts noted. Southern China has gradually adopted opening-up measures and participated in major projects such as the Guangdong-Hong Kong-Macao Greater Bay Area, while the northern regions did not move "quickly enough" or take "big enough" steps, Tian told the Global Times on Thursday. Economic development in northern China is likely to continue to slow as talent keeps flowing to southern regions, and if northern provincial governments do not step up efforts to change, they could face a dampened business environment caused by high costs and low efficiency, Tian said. "Local governments in southern China are more agile and have moved faster to reform and explore innovative means of growth," said Cong Yi, deputy director of the economics department of Tianjin University of Finance and Economy. Guiyang city, the capital of Southwest China's Guizhou Province, is a rising star that has achieved "great-leap-forward development" in transforming and upgrading its industry, Cong told the Global Times on Thursday. Buoyed by the big data industry, Guiyang's GDP growth rate reached 9.1 percent year-on-year in 2018, ranking top among Chinese cities for eight consecutive years, according to a report released by local news site gywb.cn. "It has been six years since I came to Guiyang and the city has achieved faster growth in recent years than my hometown Shenyang, [capital of Northeast China's Liaoning Province]," a teacher named Ren Jie told the Global Times on Wednesday. "Last October, when I went back to my hometown, the development gap between the two cities could be easily seen in the traffic of local airports," Ren said. "The Guiyang Longdongbao International Airport was as busy as railway stations, while the Shenyang Taoxian International Airport was much quieter," Ren said. Shenyang reported year-on-year GDP growth of 5 percent in 2018, the Xinhua News Agency said. With major events like the China International Big Data Industry Expo and the Eco Forum Global Guiyang Annual Conference, Guizhou Province has stepped up efforts to attract talent in the big data sector by offering favorable policies and services. The province awarded 118,000 yuan in total to 41 skilled workers who acquired technical qualifications related to the big data industry, according to a post on gybd.gygov.gov.cn in October 2018. In the future, regional competition will focus not only on the government's efforts to attract investment or favorable policies, but will mainly be decided by the business environment, Tian noted. According to a popular saying, "investment does not go beyond Shanhaiguan Pass," referring to a traditional geographical division separating China's northeast provinces from the rest of the country. "But according to many industry fund investors I have talked to, their investment will not 'go beyond the Yangtze River,'" Tian said. "Apart from some tech projects in Beijing, the capital, they seldom consider other projects north of the Yangtze River," Tian noted. Beijing's advantage is still there as it is now the tech center of the country, but it has yet to reach its potential, and the capital city needs support from regionally integrated development, according to Cong. Tian said that the Greater Bay Area and the Yangtze River Delta Economic Zone represent the trend for emerging industry development in the future. The disparity in economic growth between northern and southern China is not likely to be reversed in a short period of time, Cong said. The growth gap between northern and southern regions could drive northern areas to step up industrial transformation and upgrading, experts said. Indeed, northern provinces still have resources and a strong foundation, and local governments in the region are expected to "make a turn" to deepen reform, improve the business environment and stimulate market vitality by fostering a competitive private economy, Cong said. The government of Northeast China's Heilongjiang Province in January released a regulation to improve the business environment by ordering governments at the county level and above to establish a service for business projects, designating government officials to track the administrative applications of businesses, according to the Xinhua News Agency. The regulation took effect on March 1.